The haunted house in Hinsdale, perhaps the most famous haunted house in the area, has all the elements of a good ghost story: a mysterious history, strange sightings, unexplainable events and even an exorcism. ​Clara and Phil Dandy lived in the house along with their children in the early 1970s. During their time there, they were visited by many spirits . Father Alphonsus, a priest from St. Bonaventure University was at the house more than once to perform an exorcism which worked for awhile but as time went by the Dandy family lost the battle and ended up leaving the house for good. 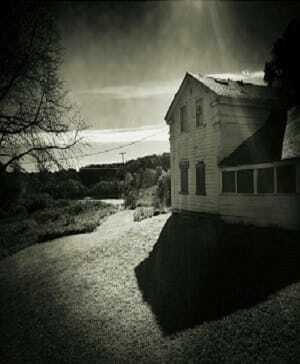 In 2006 A Episode of "A Haunting" and aired on Discovewry Channel, It was based on the Dandys and their Experiences. '​As the years passed by a few families have lived in the home but didn’t stay for long. You can probably guess why. The last occupants of the Hinsdale House were Joe and Florence Misnik, who passed away a few months from one another. In 2009 Author Paul Kenyon Published his Book " You know They're Here" is a true story of actual events of a haunted house experienced by this author in the mid-seventies.